This is a vintage, sealed kit. Due to the age of the model, there may be minor box damage and the decals may not be usable. No returns on these. This kit is now discontinued by RC2. 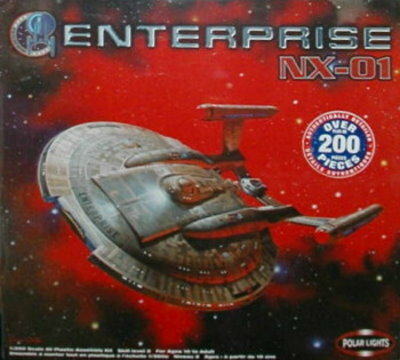 This is the long awaited Polar Lights kit from the Enterprise series. Over 200 parts and designed so you can light it, this model is 24 inches long when built. 1/350 scale! This kit is huge! NOTE: This kit is out of production. Replacement parts are not available. Because of this, this kit is sold "as is". No Returns.